Halloween is the most popular time of the year for using pumpkins in fall decorating, but pumpkins also work well for fall table decorations as well as Thanksgiving decorations. 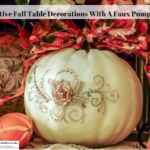 The way you decorate the faux pumpkin dictates the type of decor it works best with. This particular pumpkin was decorated with bling and bows that fit perfectly with either fall or Thanksgiving decor. Creating home decor that works for more than one fall holiday is a great way to save money as well. My pumpkin is decorated on one side only, but an option is to add a second decoration to the other side of the pumpkin and if you are using it for a centerpiece that is what you want to do. If only one side of your pumpkin is visible there is also the option to decorate both sides differently so only need one pumpkin for two different occasions. The downside is you must make sure the position you place the pumpkin in hides the side of the pumpkin that does not fit into the specific occasion you are decorating for. Changing the bow is super easy and helps update the look as well. Here is how I made my fall pumpkin. Carefully remove the paper from the bling a little bit at a time and press the bling onto one side of the pumpkin. Over the next several days it is important to check the bling to make sure it remains attached. Press on any loose bling to reattach it. If there is any bling that refuses to adhere,use a toothpick to carefully add tiny amounts of glue to the sections of the loose bling. Tie a bow to the top of the faux pumpkin stem and shape it. I ended up with an elegant faux pumpkin I was very happy with and that works perfectly with both fall and Thanksgiving decor. For those interested in seeing the complete fall look I came up with check out my article on Parade.com titled A Luxurious Fall Buffet On A Budget. 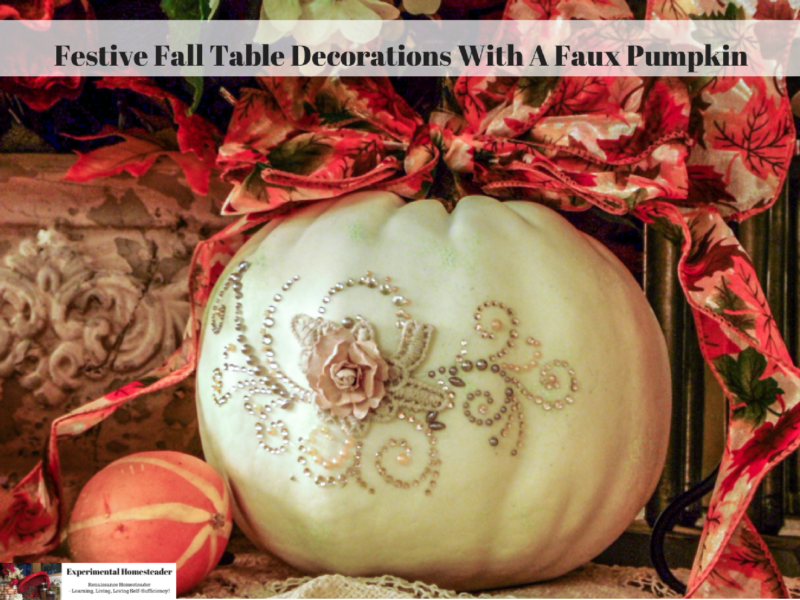 Have you created a faux pumpkin using bling or bows? I’d love to hear your thoughts and see photos of your faux pumpkin creations!